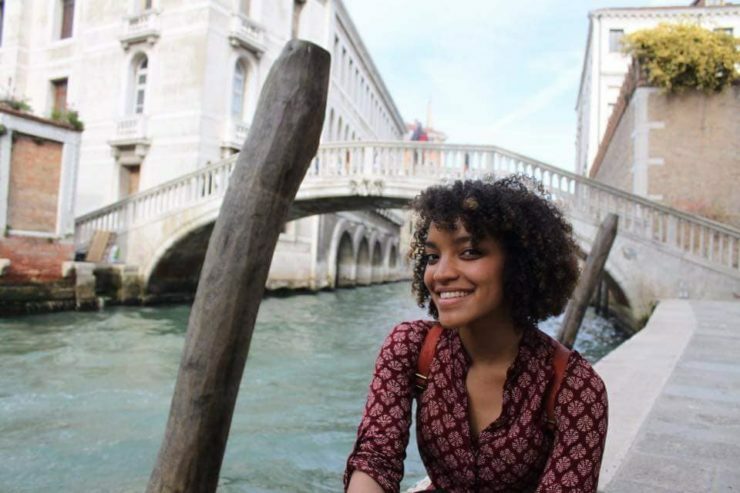 Today marks two week since 28-year-old Amber Evans went missing. Her mother, Tonya Fischer, has been holding a vigil in her home every day, but remaining hopeful that Evans is still alive. Fischer told Fox28 that from what she understands from friends and police, Evans had a meeting in Columbus last Monday afternoon, then spent some time with her boyfriend. Fischer then received a call from the boyfriend on Monday evening, saying Evans had went on a drive, but had not been heard from after that. 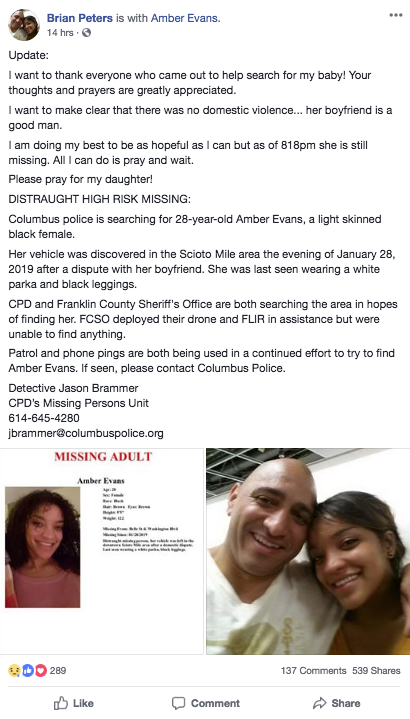 Fox28 reports that Fischer knew the Scioto Mile was her daughter’s favorite spot to clear her head and went down there to look for her. That’s when Evans’ nearly empty car was found. She was listed as a “distraught high-risk” missing person because police believe Evans and her boyfriend got into a dispute before she left. Fischer told Fox28 that she doesn’t believe this is accurate. 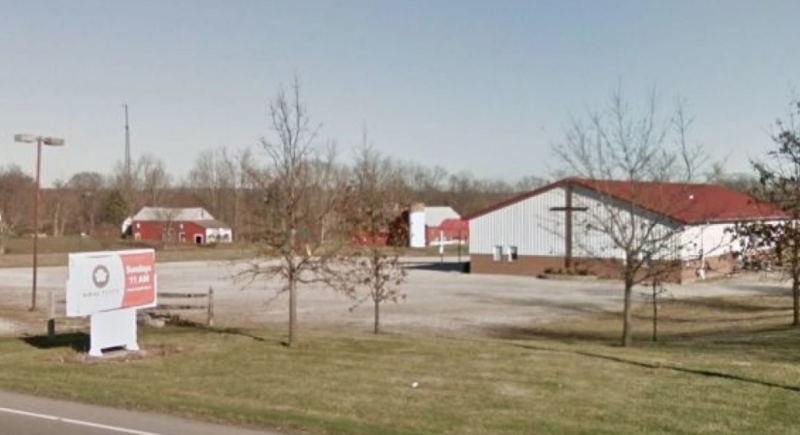 Evans’ father Brian Peters also voiced his disagreement of the domestic dispute on Facebook. As director of the Juvenile Justice Coalition, Evans is well-known throughout the community. Hundreds of people have turned out to canvas neighborhoods and search for the missing 28-year-old, even in last week’s dangerous cold. If you have any information leading to Evans’ whereabouts, please contact the Columbus Police Missing Persons Unit at (614) 645-4624.